This scene includes Joseph, Mary, and baby Jesus. The pieces are carved from cedar wood by the Jimenez Family: the mother, father, and many kids are involved in the process. The family lives in Masaya, a town close to Managua, the capital of Nicaragua. After this family completes their carving, the pieces are painted by other artisans in Managua. The painters typically paint the figures in bright floral designs. 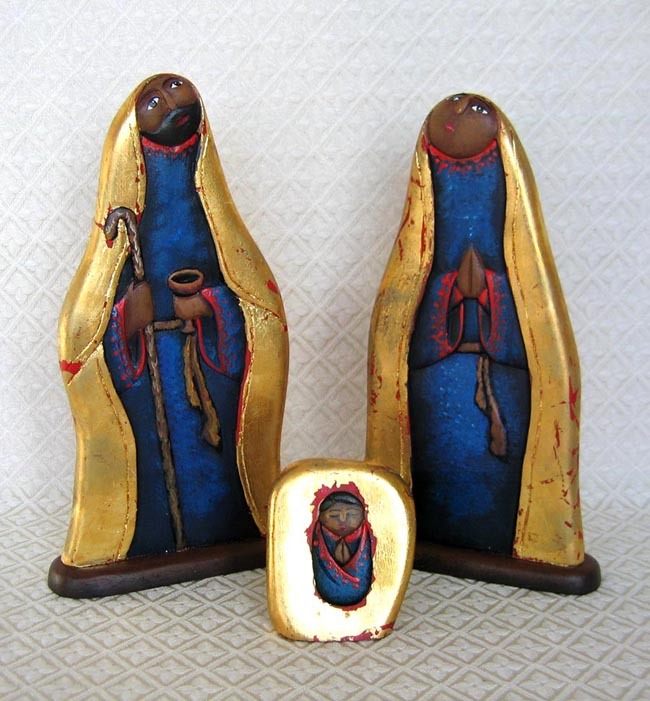 However, this Holy Family is painted in a unique rustic design. Joseph stands 10.75 inches tall.